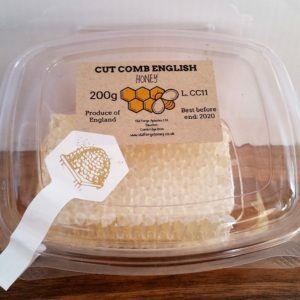 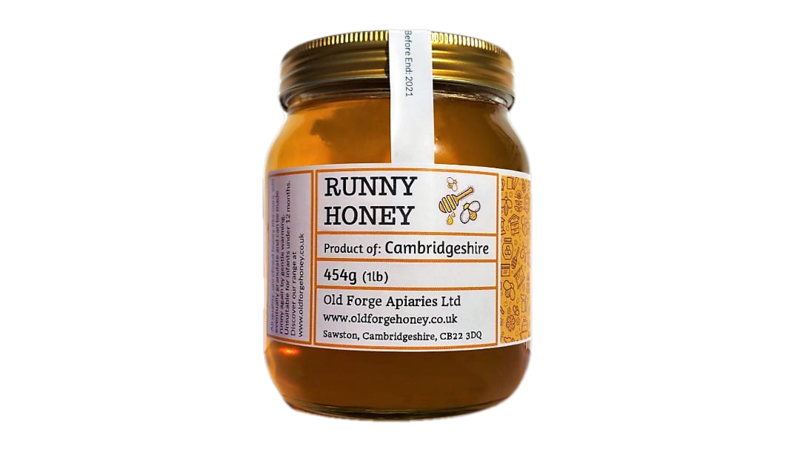 Fantastically delicious Cambridgeshire honey packaged in traditional 1lb sized honey jars each containing 454g of honey. A polyfloral honey foraged from a mixture of the different wildflowers, hedgerows and arable fields of south Cambridgeshire, this delicious local honey is deep amber in colour with a rich honey flavour and will usually contain nectar from plants such as hawthorn, horse chestnut, brassica, field beans and lime. 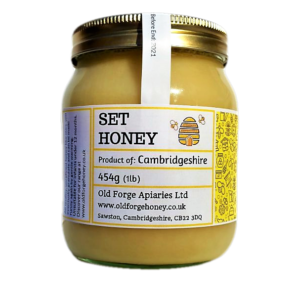 All quality, unrefined honey like ours will eventually granulate and set hard again. 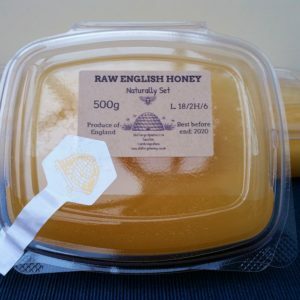 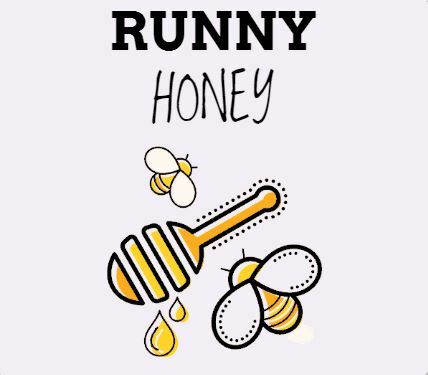 This is an entirely natural process and the honey can be brought back to being fully runny again by gently warming it as we have done here to make sure it reaches you as a clear, runny honey, carefully ensuring that we do not overheat or pasteurise it which destroys the pollen and yeasts that are naturally present in honey.